Nityananda Prabhu appeared in the village of Ekachakra, in the district of Birbhum (West Bengal) as the son of Padmavati and Hadai Pandita in the year 1474 AD. He was born on the thirteenth day of the bright fortnight in the month of Magha (Magha Shukla Trayodashi). Even today pilgrims visit the place of birth of Lord Nityananda in Ekachakra. 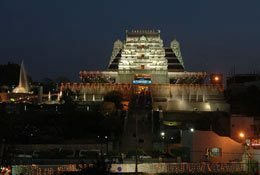 This temple is called Garbhavasa. 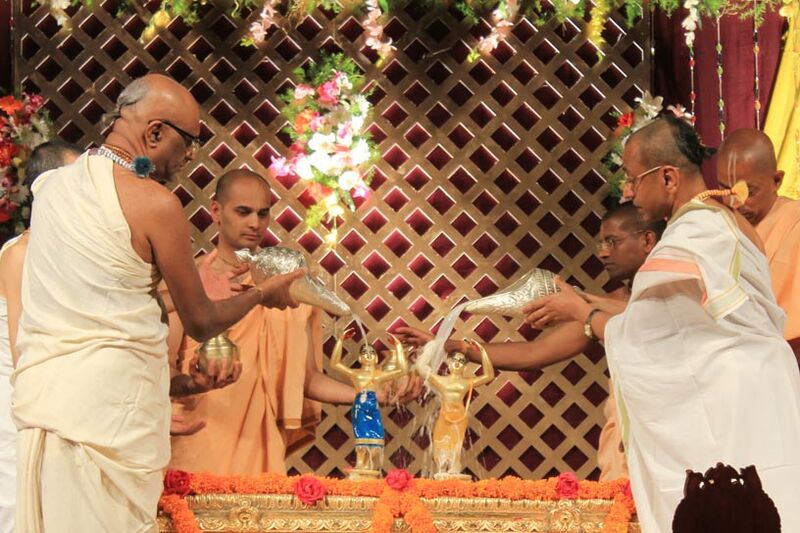 The parents of Lord Nityananda hailed from a family of pious Brahmins originally from Mithila. 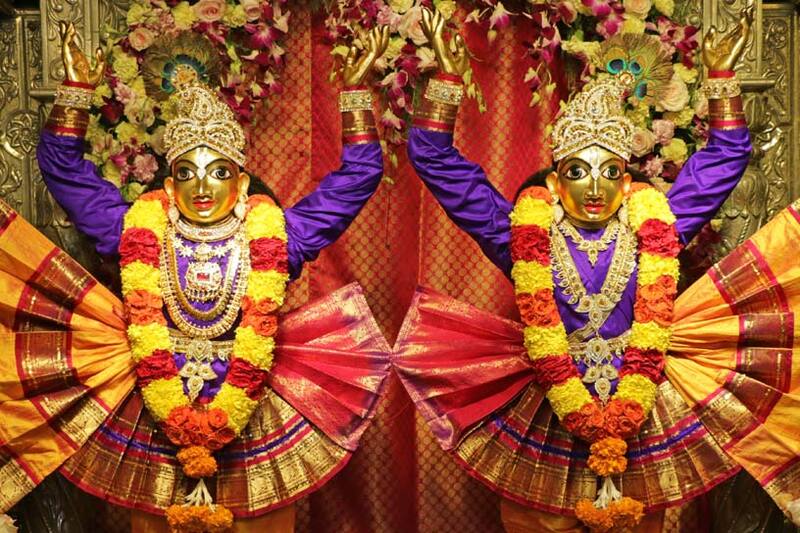 This year we are celebrating Sri Nityananda Trayodashi on February 18, 2019. 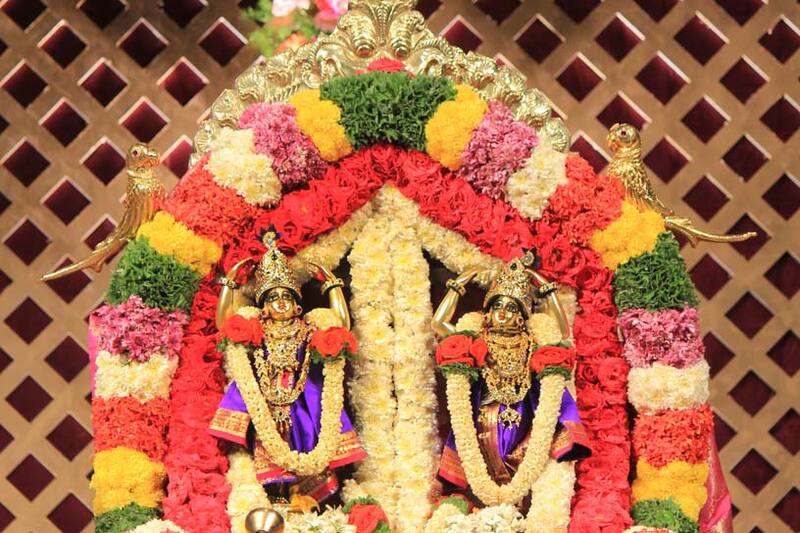 On the day of Nityananda Trayodashi, devotees fast till noon and pray to Lord Nityananda for spiritual strength. 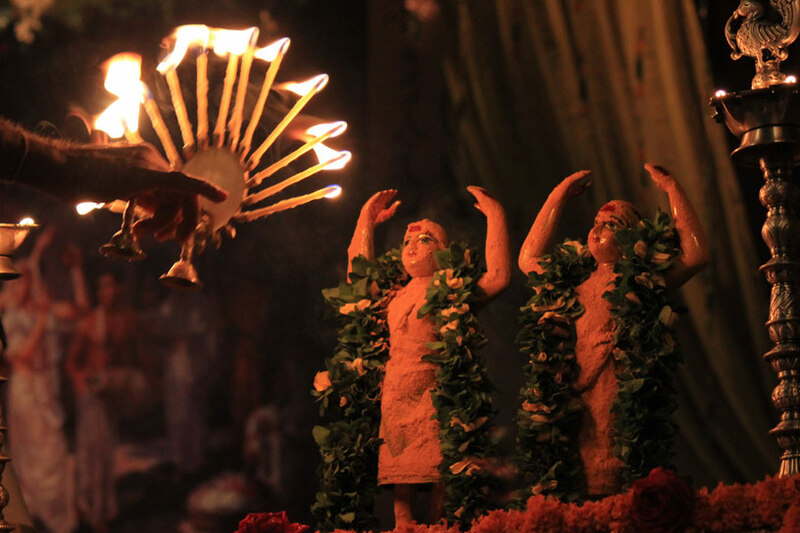 The celebrations begin in the evening with a pallakki utsava of Sri Sri Nitai Gauranga (Lord Chaitanya Mahaprabhu and Lord Nityananda). 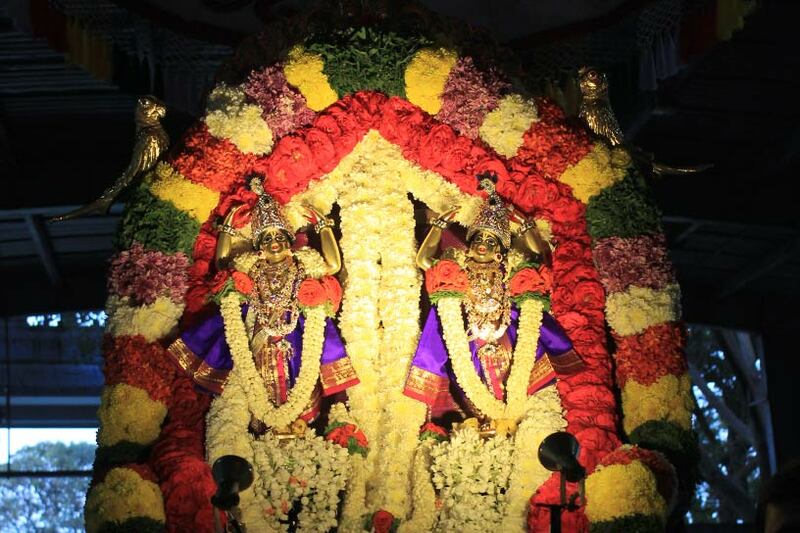 The utsava Deities are taken out in a procession in a pallakki bedecked with flowers to the accompaniment of Harinam sankirtana. 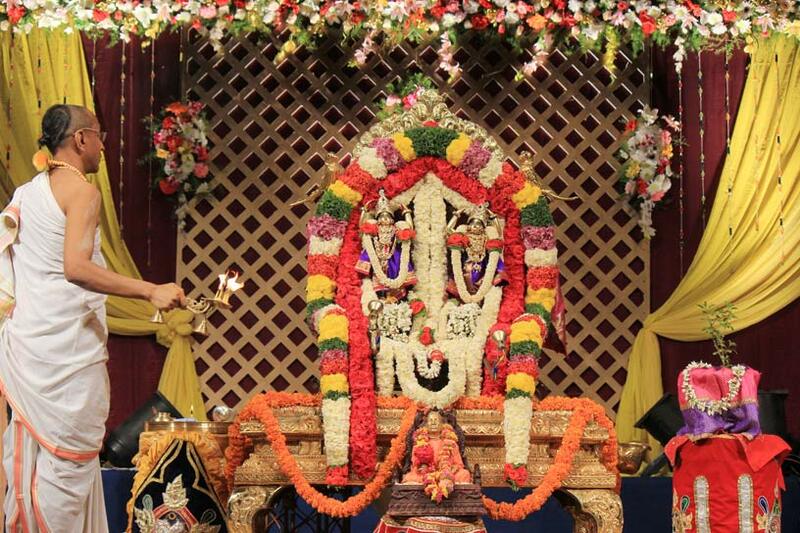 After the procession, a grand abhisheka is performed to Sri Sri Nitai Gauranga. The Deities are bathed with scented water and given a sandal oil massage. 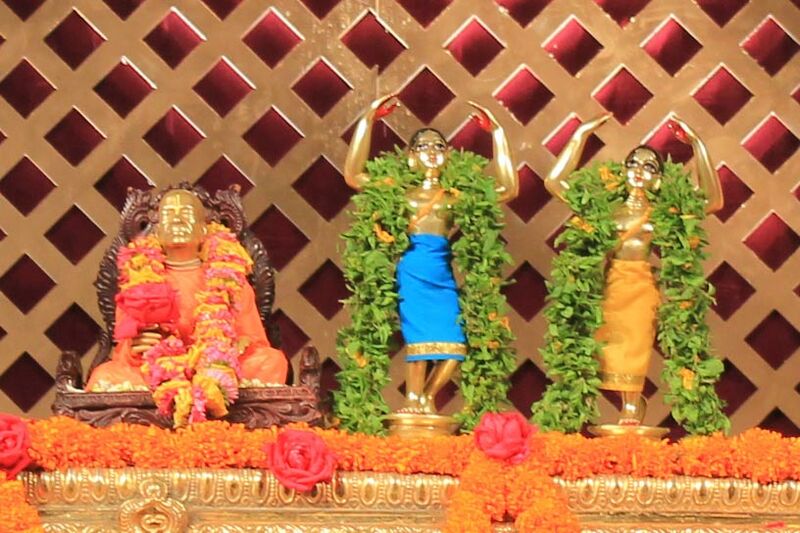 After the massage the Deities are bathed with panchamrita (milk, curd, sweetened water, ghee and honey) and panchagavya. 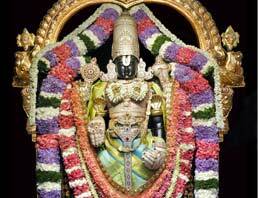 The Deities are then bathed with exotic fruit juices and water mixed with herbal extracts. The sarvaushadhi snana is followed by 108 kalasha snana and concludes with pushpa-vrishti (showering of fragrant flowers on the Deities). The Deities are offered a feast of 56 items (chappan bhog). 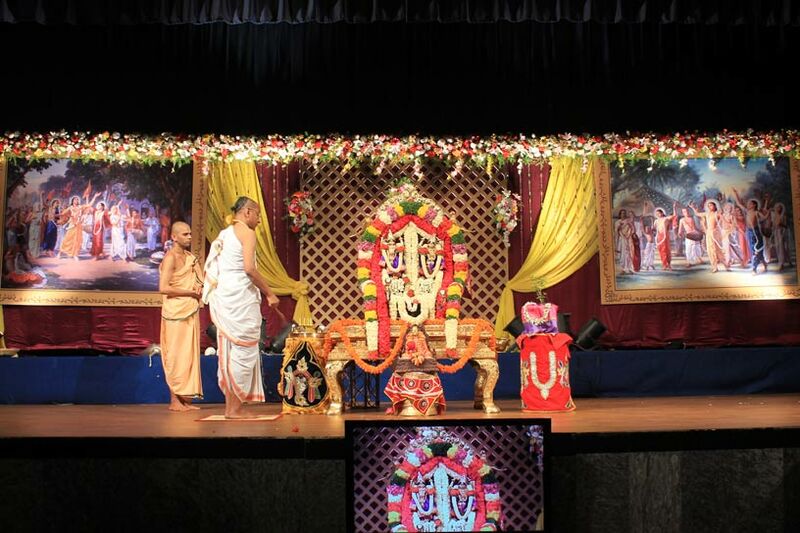 The Shayana Arati and Shayana Pallakki Utsava conclude the festival.